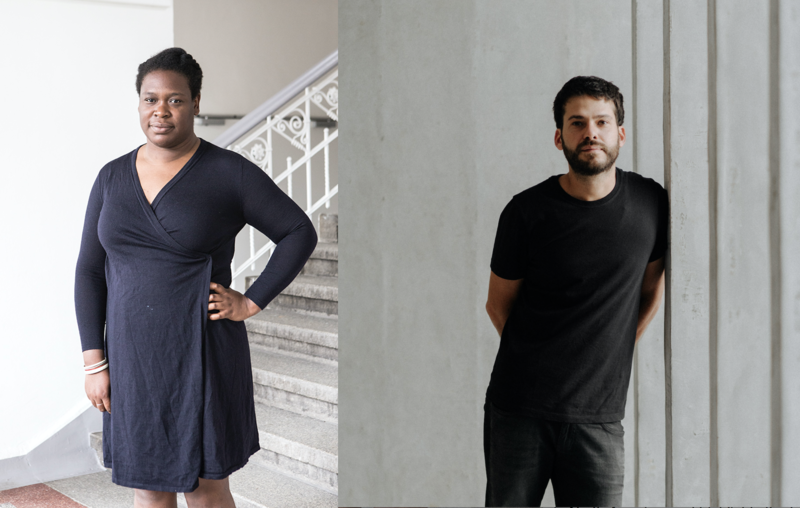 The third edition of the Chicago Architecture Biennial is coming to the Midwest this fall with a curatorial vision by Artistic Director Yesomi Umolu and co-curators Sepake Angiama and Paulo Tavares. Under the theme ...and other such stories, the biennial will engage “multiple narratives from different geographies and histories” to spark conversation about a future for the field that is shared, diverse, sustainable, inclusive, and equitable. 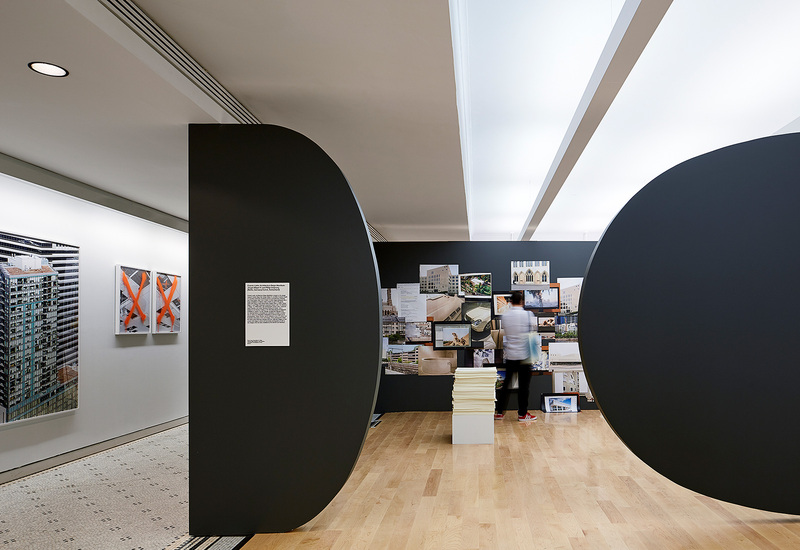 Centered around four areas of inquiry, the biennial will showcase a broad view of the industry while addressing the importance of space, architecture, and nature in connection to the practices of building, designing, planning, policymaking, teaching, and activism. The first focus, “No Land Beyond,” will feature projects inspired by an indigenous approach to nature, ecology, and landscape, while “Appearances and Erasures” will dive into designing monuments and memorials in response to shared and contested memories. “Rights and Reclamations” and “Common Ground” will explore civil rights and advocacy within the field with a particular concentration on affordable and equitable housing. The biennial will also draw from Chicago’s own urban development history, as well as the spatial and socio-economic conditions that have shaped it. By “moving beyond the grand narratives of the city’s architectural heritage,” the biennial will highlight the unique experiences of both architects and everyday people by sharing new voices and perspectives on the environmental and socio-political issues that make up Chicago’s landscape. This idea will be echoed in projects brought to the biennial from around the world. In preparation for the multi-month event, the curators have worked on research initiatives in Chicago, Sao Paulo, Johannesburg, and Vancouver to uncover the most important issues to architects and citizens living in cities today. “Through these engagements,” Umolu said in a statement, “we have drawn out a myriad of stories about how lived experiences across global communities, cities, territories, and ecologies resonate with architectural and space-making practices.” The 2019 Chicago Architecture Biennial will run from September 19, 2019, through January 5, 2020. It is free and open to the public. 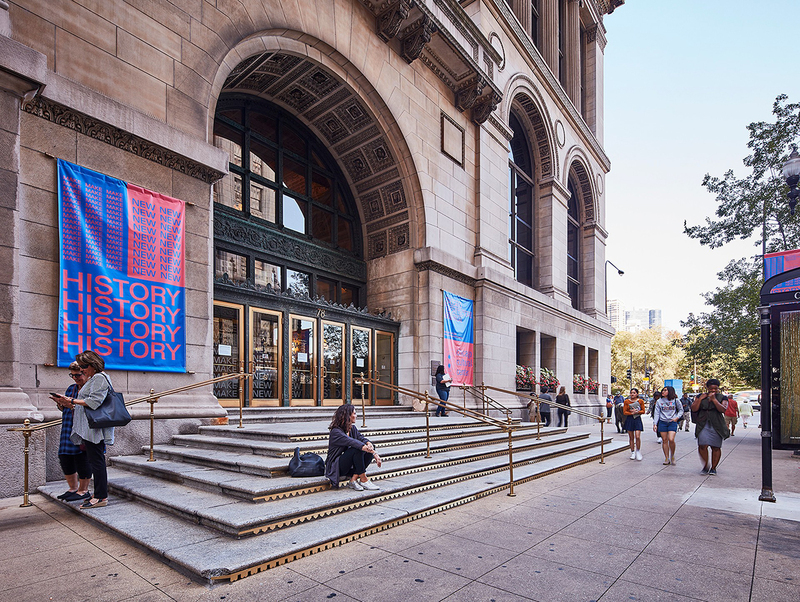 The central exhibition will be held at the Chicago Cultural Center, and other sites throughout the city will host exhibitions, projects, and panels. Chicago-based curator and writer Yesomi Umolu will curate the 2019 Chicago Architecture Biennial. Her unique combination of experience in architectural design and curatorial practice will give her a refreshing take on the program, which has served as a barometer for what is happening in the U.S. and abroad. The Architect’s Newspaper: What is your background, and what brought you to the Chicago Biennial? Yesomi Umolu: So my background is in architectural design. I studied it and I worked in practice for a couple of years in the U.K. at Grimshaw, which is a big high-tech practice, and then at a smaller practice called Haworth Tompkins, doing a lot of collaborations with artists, including Dan Graham with his Waterloo Sunset Pavilion at the Hayward Gallery in London. I was working on projects that represented my passion for the arts. Eventually, I went on to curating contemporary art, but kept my foot in the architecture world through my network. I think the types of narratives and discourses that I was interested in were more related to spatial practices and how both architects and artists were dealing with those issues. What brought you to Chicago? I got a job as exhibitions curator at the Logan Center for the Arts at the University of Chicago. So I’ve been in the U.S. for about seven years. I was at the Walker Art Center in Minneapolis before that, and then at the Broad Art Museum at Michigan State in East Lansing. I’ve worked in really nice buildings: Herzog & De Meuron [at the Walker] and then Zaha Hadid [at the Broad], and now Todd Williams and Billie Tsien [at the Logan Center]. So I have been lucky to be surrounded by good architecture. In transitioning from practice to curation, where would you find yourself in relation to the last two Biennials? I would come at it by thinking about space as an inherently political medium and exploring the way in which we make spaces. Spaces are not necessarily neutral things; there are power dynamics at play. Then there are the different sorts of audiences and visitors to those spaces. The critic Jane Rendell coined the term “critical spatial practice,” which was about how one makes spaces and thinks about the politics behind them. She particularly wrote about the relationship between art and architecture, and how architects had a role to play—not just in the building of cultural buildings, but in the formation of cultural spaces, and that their skills could be lent to those spaces as well. Today there are people like Shumon Basar, Eyal Weizman, and other artists who have taken up the helm. I worked with Brad Butler and Karen Mirza, who are in the Weizman architecture school of thought in London, as well as a whole host of others. So that’s where I would kind of situate myself. Broadly speaking, my work has always been interested in questions of globalization, which of course have a spatial articulation to them as well, whether it’s thinking about the flows of people, resources, or money, and how that affects the spaces in which we live and work. So it sounds like there will be some continuity with the last two Biennials. Yeah, exactly. So I think that’s what I can bring to the table: my particular interest in the Global South and also maybe greater access to it as well. So what can we expect in 2019 at the third CAB? Instead of having an idea and just having people funnel into that, I want to create the best team that’s going to help establish a very rigorous conversation through a project of R&D for the next three to six months or so, and a curatorial idea will follow. The role that arts and culture play is obviously something I’m going to be very, very interested in. Secondly, with the Biennial, obviously the last two editions have had folks that have been super embedded in the discipline, whereas it’s nice to have an individual such as myself who has roots in the discipline but can come at it from a slight tangent. 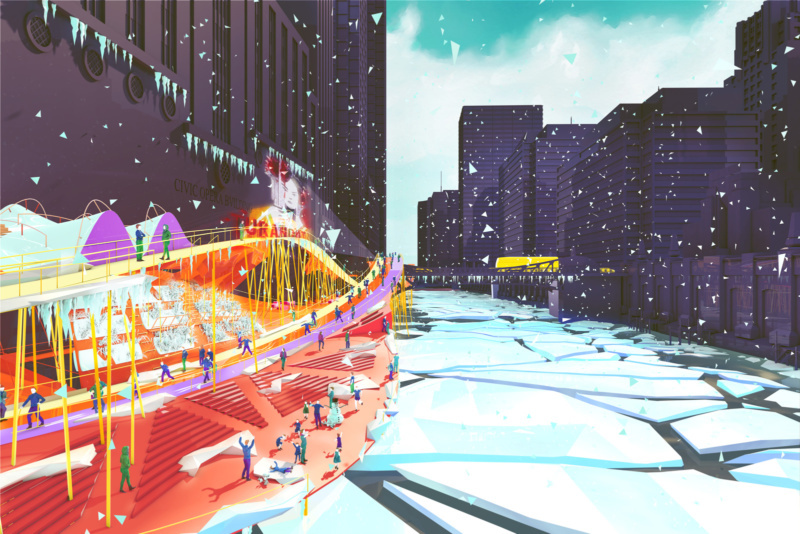 I think how we define public space is really important right now—how to redefine participation in public space, and how arts or architecture can be leveraged to encourage more public participation. I’m also really interested in that, thinking about how architecture is communicated from the space of school to the space of practice. I can’t say for sure that it’s going to be like X, but these are my interest areas. What are some of the shows you have curated that might give insight into your thoughts and process? I did a show recently with two Brazilian artists: an artist called Cinthia Marcelle and a filmmaker called Tiago Mata Machado. They’ve been working together for the last five to seven years doing a series of beautiful minimalist videos that look at the social space in Brazil and raise questions of revolution and chaos. These films usually focus on a specific piece of urban fabric or furniture, and then they orchestrate a series of pseudo-performances around that. So we did a show with them this last September that brought together these four video pieces. I think that resonates in terms of thinking about public space, and again, agency, collectivities, and how space can be activated through either political protest or revolution. Also, I did a show recently with Kapwani Kiwanga, who is a Paris-based Canadian artist with a background in comparative religions and ethnography. So she usually mines in a particular history and particular archives and then creates from that. And she was looking at the histories of disciplinary spaces across the world and their sort of legacies and how they affect human behavior and perception. This interview will appear in the upcoming issue 10 of AN Interior. 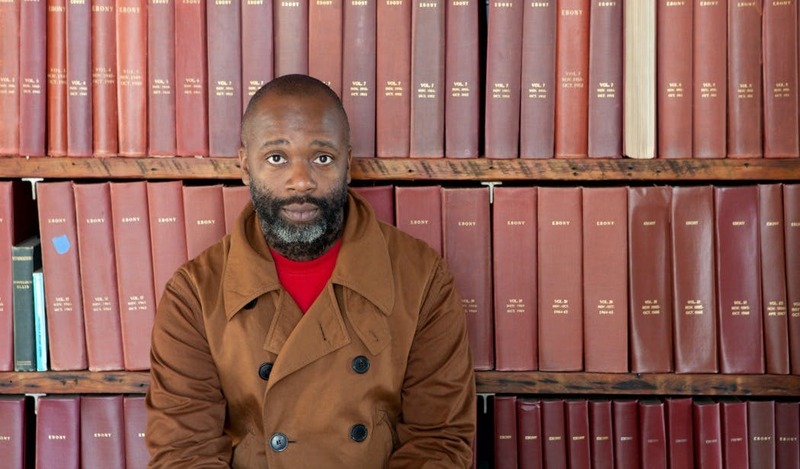 Hot off the closing of a sometimes controversial Chicago Architecture Biennial (CAB) that still drew nearly 550,000 visitors, CAB leaders and Chicago mayor Rahm Emanuel have announced that Yesomi Umolu has been chosen as the artistic director for the 2019 Biennial. The 2019 Biennial, now in its third iteration, will run from September 19, 2019 through January 5, 2020. A committee comprised of Chicago Architecture Biennial board members and past artistic directors considered candidates from around the world and from a variety of disciplines ultimately selected Umolu for this year's biennial. “Yesomi is a visionary curator with strong roots in Chicago, and she will work tirelessly to cultivate an incredible cultural, educational, and economic event for the city,” said Mayor Emanuel in a statement sent to AN. “With Yesomi at the helm, the third Chicago Architecture Biennial is sure to secure its reputation as the most innovative architectural, art, and design showcase of its kind.” Umolu is a Chicago-based writer and curator with a background in architectural design and curatorial studies and a focus on global contemporary art and spatial practices, whose work frequently explores the political nature of the built environment. 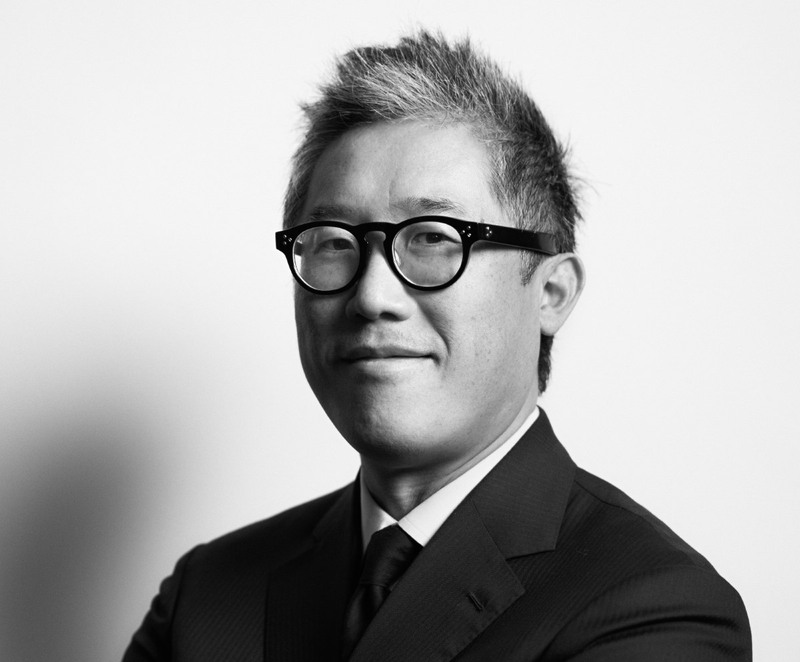 Umolu will formalize and gather an international curatorial team of practitioners with strong knowledge of architecture, visual arts, and design practices globally in the coming months. The members of the curatorial team will be announced this spring. The move is a natural one for Umolu, who also serves as the Exhibitions Curator at the Reva and David Logan Center for the Arts at the University of Chicago. “I am honored to be invited to serve as Artistic Director of the 2019 Chicago Architecture Biennial,” said Umolu in a statement. “Having my roots in the field of architecture, spatial questions have always been an important consideration of my work with contemporary artists, architects, and urbanists from across the world. I am excited to embark on the journey of engaging the city of Chicago and it publics, as well as visitors to Chicago from across the country and around the world, in these conversations.” The jury cited Umolu’s deep ties to the city as well as her curatorial achievements­–she was chosen for an Andy Warhol Foundation for the Visual Arts Curatorial Fellowship in 2016. 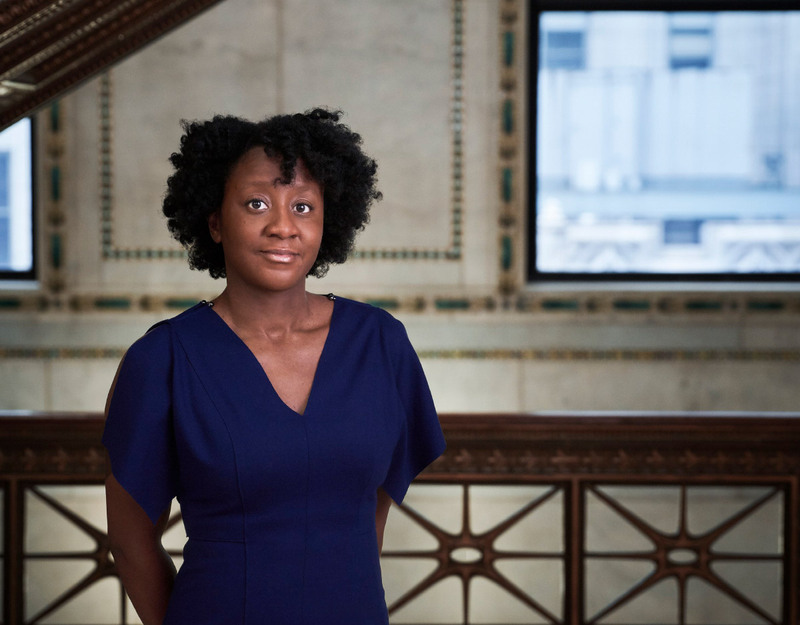 “Umolu’s curatorial practice, which boldly, yet elegantly, traverses the fields of art and architecture, makes her uniquely situated for success in this role,” said Sharon Johnston and Mark Lee, 2017 Chicago Architecture Biennial Artistic Directors, in a joint statement. “The Biennial is a complex and multifaceted platform for exploring both the history and present-day challenges in the field, and we eagerly await the outcomes of Umolu’s curatorial inquiry and exploration.” The 2019 Biennial will also align with the opening of EXPO CHICAGO, the International Exposition of Contemporary and Modern Art, following a successful partnership in 2017. Todd Palmer, Executive Director of the 2017 Biennial, will be returning to lead the 2019 edition. If you missed the month-long exhibition of the Unsolicited Sideshow in Chicago, it is not too late to be a part of the most subversive portion of the Chicago Architecture Biennial. While the initial exhibition may be over, the programming for the Sideshow continues with the monthly Tank Takeovers at the Chicago Athletic Association. The next event will take place this Friday, November 10 with a “site-specific, immersive light, and sound installation.” The Unsolicited Sideshow first opened with a pop-up exhibition of 11 young architecture practices, literally running alongside the main attraction of the Chicago Architecture Biennial just a few blocks away at the Chicago Cultural Center. For the Tank Takeovers, the Sideshow’s organizers brought together designers, performance artists, and poets over the past months to explore the contemporary conditions of "otherness,” normalcy, and taboo, as they pertain to art, culture, and architecture. In its third installment, this month’s Tank Takeover will take the form of an installation entitled Reverberations. 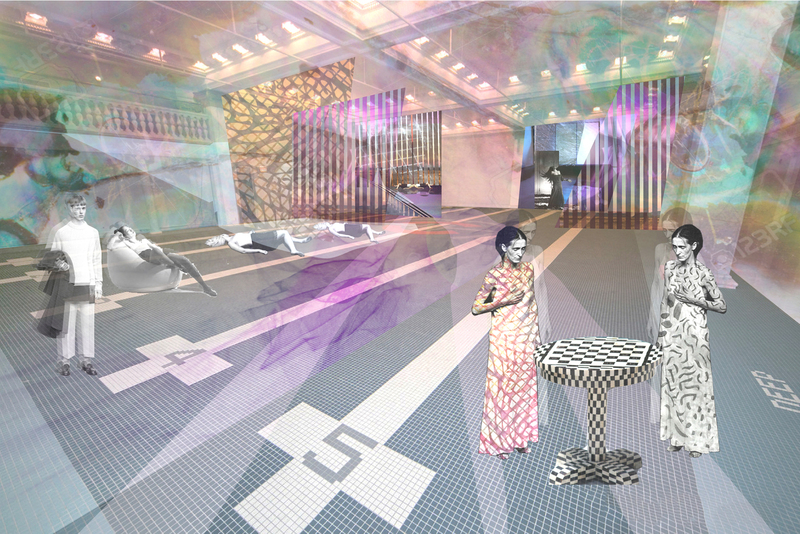 The Tank, the former pool at the Athletic Association, will be filled with projected LED light, “plush puddles of color that spill out onto the floor," and spatial collages activating custom screens. A rotating ensemble of musicians will engage the space, responding and interacting with the installation with experimental music. Presented in collaboration with Detroit and Cincinnati-based firm SUBSTUDIO, the event will include animations by Marc Governanti, and music curated by Zohair Hussein, with fabrication handled by Thomas Dewhirst + Lynn A Jones. The November Tank Takeover will take place at the Chicago Athletic Association on November 10 from 6pm to 10pm. The final Tank Takeover will be on December 8, and will be presented by Portland, Oregon-based Office Andorus in the form of an architectural fiber installation and a dance party. In today’s gallery world, where stock exchange voracity appears interchangeable with art fair commodity peddling, the anti-commercial and introspective dialogues of the environmental movement during the late 1960s and 70s were like apostolic meditations by comparison. Even the merchandising excesses associated with Pop Art now seem like somber banking conventions, in contrast to the souk-like sales tactics of current international expos...to its historical credit, the Pop era contributed significantly to liberating the 1960s New York art scene from the fusty anti-figurative bias of third generation Abstract Expressionism. By contrast, current events like Miami Basel and the Armory Show appear dominated by hyperbolic celebrations of conceptual vacuity, a disproportionate enthusiasm for transitory talent and a steadfast avoidance of original aesthetic values. There is a ubiquitous re-packaging of influences from the past, defended with such vaguely apologetic labels as ‘Appropriation, Pseudorealism, Post-postmodernism, Metamodernism and Neomimimalism. Too much of the new work, endorsed as hot ticket progressivism is, in reality, a deferent version of ‘if-you-please’ avant-garde. 4. "History" was stale and familiar, and largely irrelevant today In this Biennial, there were some interesting bits of lesser-known history and some amazing moments of drawing and architectural assemblage. But the curation was uneven, and swerved from heavy-handedness with no productive end to the usual suspects doing their usual things unrelated to the project at hand. In the "Vertical City" show, for example, the wall texts read like a presentation from a first-year design studio. Very little new information was introduced, and the show took a boring typology—the tall tower—and didn’t even update it. Instead, we got a very personalized response from each designer. There wasn’t much that was “new” or historical in this room. While the 2015 version of the Biennial was simply “all the cool stuff we could find,” it was indeed, cool stuff, at the edge of knowledge both within and outside of the discipline. Biennials don’t have to solve all the world’s problems or solve inequality, but they can at least relate to the outside world in a coherent way. In the end, disciplinary knowledge is at its best when it has productive friction with issues outside the profession. The historical canon is being questioned today more aggressively than ever. There is a real need to probe what kinds of histories we are telling and where. On one of the biggest platforms in the world like the CAB, it was unfortunate that this exhibition only reinforced a Western ideal of architectural history. Almost all of the “history” here was from the Western canon. Now would be the time to really upend some of the stale narratives that have dominated architectural history in the past. 5. Its relationship to art was all wrong The art references made in this Biennial are mostly from the 1960s, such as Ed Ruscha, from whom the title was borrowed, Gordon Matta-Clark, and Claus Oldenburg. While certainly interesting, these antiquated modern art references keep the exhibition from engaging with the contemporary, adding another layer of alienation. Contemporary art biennials have moved so far past these modern art references that it makes this Biennial look completely out of date. The Berlin Biennale 9 (BB9) in 2016, curated by the New York collective DIS, was full of ultra-contemporary works that addressed all kinds of issues today like cryptocurrency, surveillance, wellness, migration, emerging technologies, new social norms, and radical shifts in how we consume media, among a host of topics. It was criticized for not being overtly political enough, but it did access some of the pertinent ideas that are affecting how we live today. 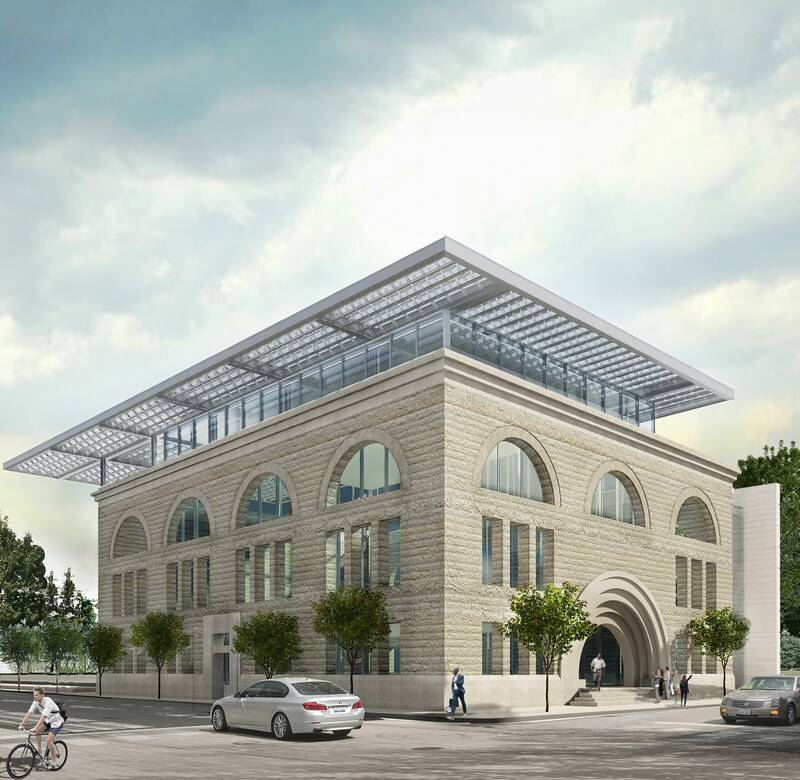 There is really no way to compare the sheer horror and excitement that came from BB9 to the dusty 2017 Chicago Architecture Biennial. So given these five issues, what do we take away from the 2017 Chicago Architecture Biennial? If this show is any indication, there is a real case to be made for abandoning the language of architectural history entirely and inventing something else. Some of the most interesting times for architecture occurred when we tried to move beyond something prior, or as Bertolt Brecht said, “Erase the traces!” If there is a role for architectural history outside of the academy, it is not obvious what that might be, based on what this show demonstrated. How history was deployed was problematic for the discipline, as it was too narrow in its purview, and made an exciting time in architecture (the re-orientation of the discipline in the age of digital space and ubiquitous digital production) into another worn-out historical trope.